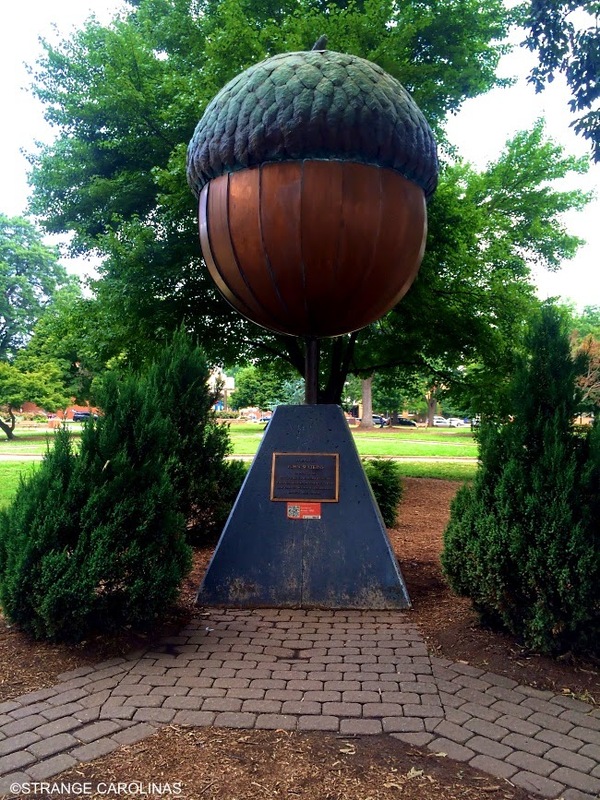 Artist David Benson created the giant 1,250-pound acorn in Moore Square to commemorate Raleigh's bicentennial. 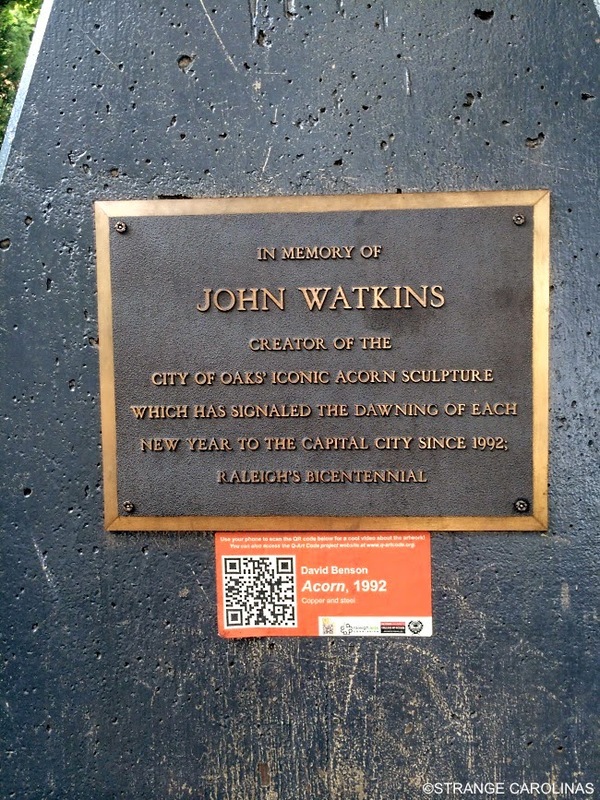 It is lowered every New Year's Eve as Raleigh rings in the new year. 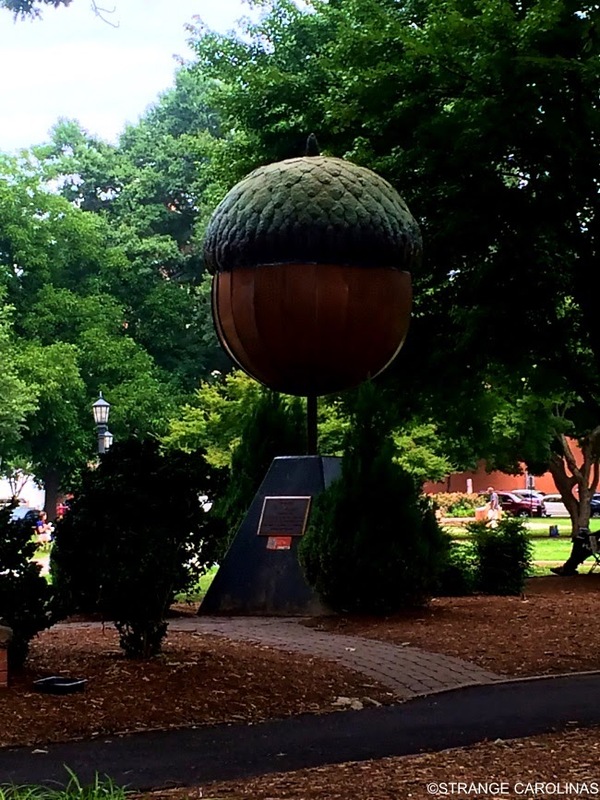 ... until a giant metal squirrel shows up.